little less than Angels. – sam finds faith. Woman, did you know that you have been created as little less than an angel? Sister, did you know that you sit at the crown of all creation? Beloved, did you know that when you look in the mirror and when you look in your heart, you are the image of God? Because you are all of those things. The God of Heaven and Earth, your Creator and the Creator of all things, made you that way. 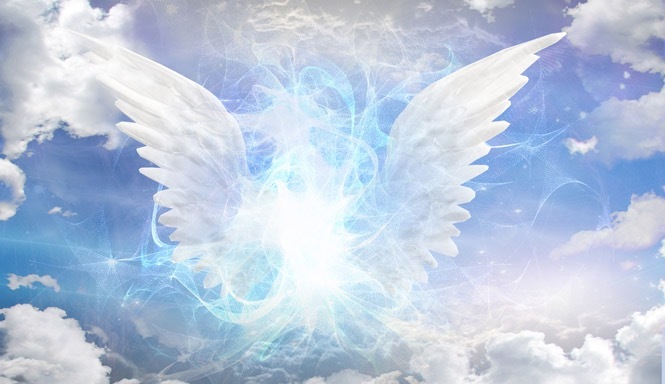 I don’t know what you think of when you think of angels, but I feel confident most of us (me included) think of beautifully radiant winged beings, cloaked in stunning robes, potentially haloed, right? The Bible doesn’t quite cover them like that, physically (one actually has six wings that are used to cover it’s body so that those who lay eyes on it are not blinded, and one actually has 4 heads; check them out), but they are highly pivotal in importance to God. Throughout the Bible, they act as His messengers, as His army. They belong to Him; they do His bidding, and they sing His praises in Heaven. And no matter the description you choose to imagine, no one can argue that these are carefully considered, intricate beings that are full of purpose, and are of high ranking and importance. You. Sweet, little, beautiful you, sitting at your desk, in your car, on your couch, just existing in your own little speck of time on the seemingly endless timeline of the universe are LITTLE less than those who have existed with Him, serving Him, and being His messengers of some of the biggest news of all time. You are not an angel, but you have been created with little less position than an angel. While some might see that as somewhat demeaning, I’d really like to challenge that though. Does that mean that God values you less than an angel? No. Does it mean you are any less important? Absolutely not. What it means is that in the hierarchy of the universe, you are ranked just slightly lower than an angel. That puts you in a high position of authority over the rest of creation. It makes you the crown of creation. From the moment God crafted the whole entire world, He placed man in a position that gave him dominion over the rest of the creation. He calls mankind His children, adopted by the sacrifice of Jesus 9:4). While God sits on the throne, Jesus at His right hand, and the angels around Him, we are directly above anything else in all in all of creation. Out of everything, He chose each and every one of us for that position. That says a lot doesn’t it, about how God values us? If it doesn’t say enough, let us remember the last point that Mr Farrell mentioned in his quote above… When we were created, male and female, in His own image. Some people use that as a defense to portray God as a man in paintings and pictures, but I firmly believe and have been taught that it is more commonly perceived that God made man and woman (which is really just to specify our separate sexualities, we together are mankind) in His image in that we have hearts, minds, emotions, principles, consciences, and free will. If you read in the Bible on God’s character, you may see much of your own – His love, His joy, His anger, His jealousy (not envy- jealousy is much different), His sadness, His grief, His commitment, etc etc. Granted, we can never live up to His level of any of these things (Romans 3:23). No one is fully like Him without being fully Him (which Jesus was – John 1:1, 14). But we were created in this image, with this purpose; out of everything His hand created, the sky, the ocean, every animal, every plant, every mountain, every living thing… He chose you, He chose us to reflect His image. Me and YOU. You, beloved, were created in His divine image, chosen above all things. If nothing else in the entire Bible wakes up your heart to know what you are chosen and valuable to the Lord in Heaven, I pray that does. “When I consider your heavens, the work of your fingers, the moon and the stars, which You have set in place, what is mankind that you are mindful of them? You have made them a little lower than angels and crowned them with glory and honor. ‘What is mankind that you are mindful of them, a son of man that You care for him? Sisters, you are loved and valuable to God. You were chosen and you are important to Him. Don’t ever let any situation or any circumstance or any person of this world make you feel any different. You might not feel worthy, and someone else might say you’re not, but He said you ARE. Next postThings I wish I would have done in the first year I was born-again.